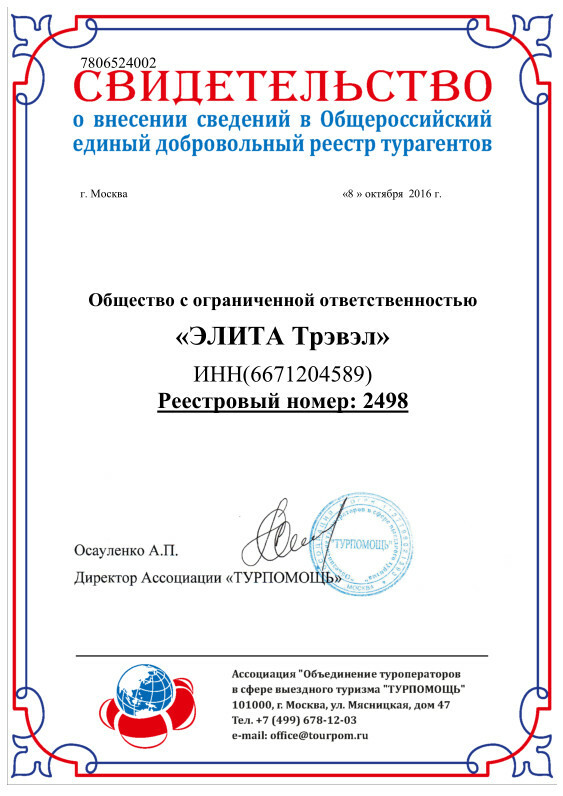 Our company is International Tourism and Business Center «ELITA Travel». The company was established in 1997 and it has a reputation of a reliable touroperator serving tourists in Ural region. With high professionalism we shell offer hotels reserve flights and railway tickets, arrange coach tours, offer for your choice entertaining, excursions, sports and education programs, support your communications with local companies and assist in visa registration. aviatickets, entrance tickets for the exhibition, and also one-day excursion services. speaking guides, and excursion services. and also the direct control over carrying out of action and an estimation of its results. With hope for further cooperation.